A group of former DNAinfo Chicago journalists are hoping to fill the void left by the site’s abrupt shutdown three months ago with the launch of a new site, called Block Club Chicago. But instead of relying on digital advertising for its business, like DNAinfo Chicago did, Block Club will turn to subscriptions and blockchain for revenue. Jen Sabella, former deputy editor and social media director of DNAinfo Chicago, Shamus Toomey, former DNAinfo Chicago managing editor, and Stephanie Lulay, former DNAinfo Chicago senior editor, are the brains behind the new, nonprofit outlet, according to Nieman Lab. Sabella, Toomey and Lulay are Block Club’s director of strategy, editor-in-chief and managing editor, respectively. A Kickstarter campaign for Block Club, which will officially launch in April, went live Tuesday morning. Within a day, it surpassed its $25,000 goal, Nieman Lab reports. It currently has more than $125,000 pledged funding. Block Club aims to run primarily on cash and cryptocurrency from the journalism-focused, blockchain-based marketplace called Civil. Civil is a new publishing platform that will allow readers to support reporters and pay for subscriptions using cryptocurrency. The former DNAinfo journalists told multiple media outlets that when they worked at the site, readers would ask how they could support their work through subscriptions or payments, but no such system existed at the time. Local news sites DNAinfo and Gothamist were abruptly shut down in November by billionaire owner Joe Ricketts. Over 100 employees were let go. Ricketts shut down all the DNAinfo sites, including its hubs in Chicago, Los Angeles, San Francisco and Washington. 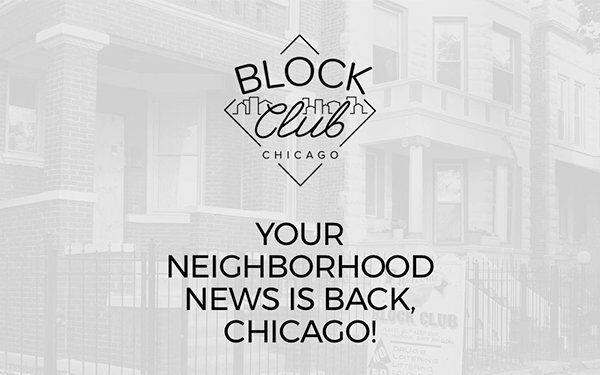 Block Club Chicago has hired five reporters, four of which are former DNAinfo Chicago journalists. The site is hoping to charge subscribers around $5 a month for full access to its content. Breaking news will remain free.